If you love enduro but don’t want to compete in a race – why not join us on a guided enduro tour? 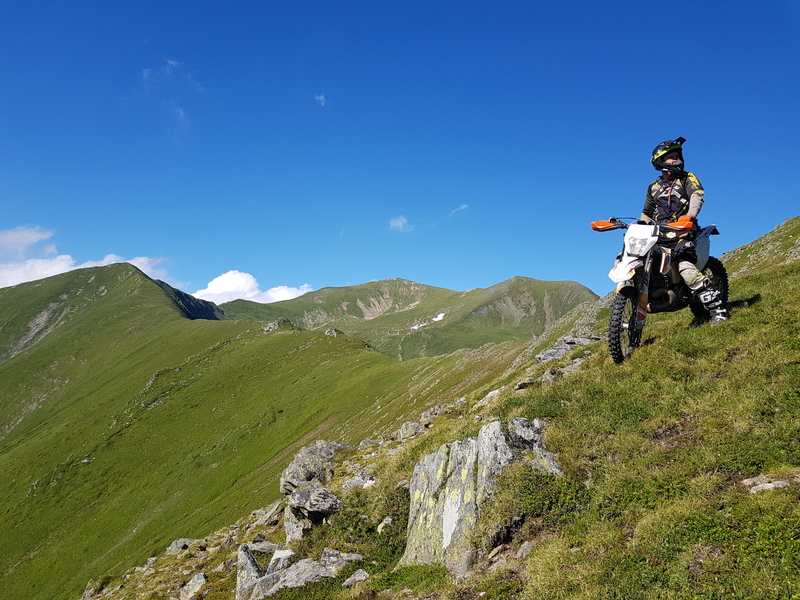 We offer two type of tours with short or long options, ENDURO Tour Sibiu or Adventure Tour. Enduro Tour Sibiu: with this tour you will start end finish each day in Sibiu. Riding all the awesome tracks around Sibiu. You can enjoy the nice city life in the in the evenings going to the cafes and restaurants that the old city has to offer. with this tour you will spend each night in sibiu. The packages includes accommodation at 3 star hotel/ guest house or better( with breakfast, twin share room), Welcome Drinks, experienced tour guides and a souvenir for every rider. The packages includes accommodation at 3 star hotel/ guest house or better( with breakfast, twin share room), Welcome Drinks, experienced tour guides and a souvenir for every rider. Pick up from Sibiu Airport to the hotel and back. We can also arrange transport from other romanian airports if needed and at additional cost. helmet, boots, protection, goggles and gloves, camelback, enduro pants and jersey, rain jacket (We can supply these at additional cost). broken plastics and damaged parts, are not included in the price.